You are going to Watch One Piece Episode 387 English dubbed online free episodes with HQ / high quality. Stream Anime One Piece Episode 387 Online English dub The Fated Reunion! Save the Imprisoned Fish-man. The Straw Hats arrive at Duval’s base noticing how quiet it is, they then find Camie’s fish-man friend in a cage, only to recognise him as Hatchan, a former member of Arlong’s crew. Luffy refuses to help him, so Camie and Pappagu try to rescue their friend on their own but are quickly captured by Macro Fishmen Pirates. 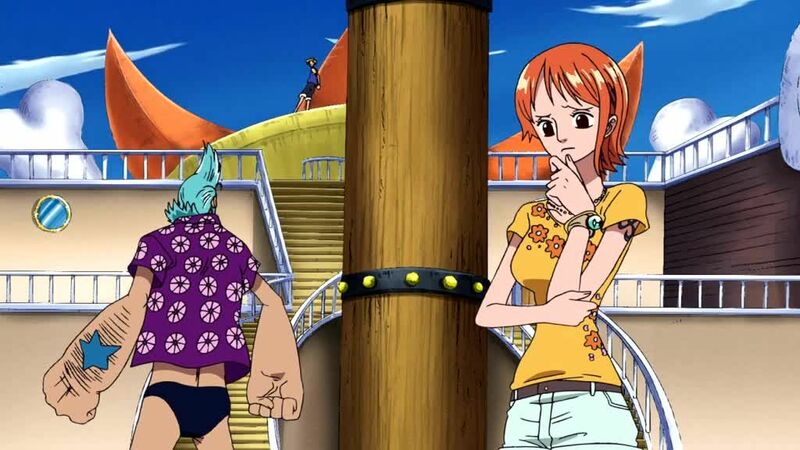 The Straw Hat’s then decide to help, only to spring the trap Duval had planned for them.